Love is something we so often take for granted. Something most of us assume comes naturally, and sometimes it does, but more often than not love is not our natural reaction. Is it natural to wake up in the morning and immediately think of someone else? Is it natural to show kindness to someone who insults you, or worse, your family? No, love is not natural. In fact it is contrary to our nature. My natural reaction when someone hurts me is to make him or her feel the way he or she made me feel. To hurt him or her as deeply as they have hurt me and to let as many people know as possible what a jerk that person is. But God doesn’t command us to do what is natural. 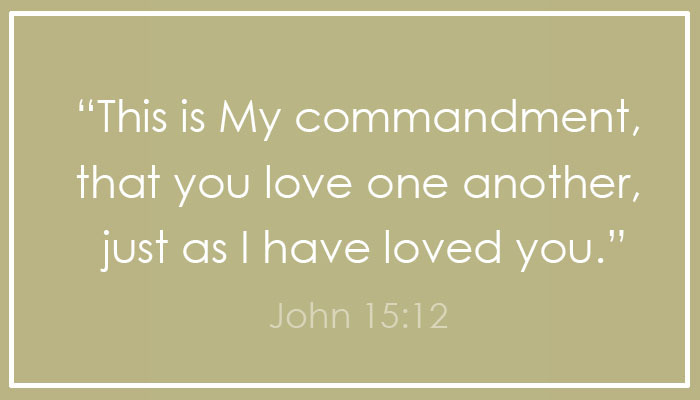 He commands us to Love. So the question is, how has He loved us? Well, according to John 3:16 He loved the world so much He gave the life of his only son. He came into a world that hates Him and willingly gave Himself up. Died for a people that weren’t only indifferent toward Him, it wasn’t just like they didn’t care or didn’t notice Him, they mocked Him and spit on Him, they beat Him, and ultimately murdered Him. After all this as He hung on the cross dying He said “Father, forgive them; for they do not know what they are doing.” Say what? Forgive them? Really, why? Because God IS love. Love isn’t just something He does it’s who He is. 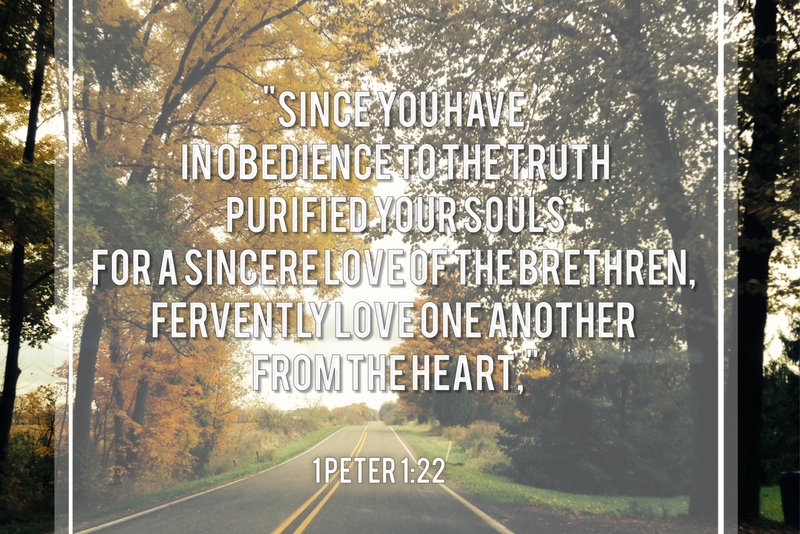 As a believer I am supposed to be an imitator of Christ and when it comes to love that is a tall order. I have a hard enough time loving my kids and my husband like I’m supposed to and when I think of showing love to other people it seems like too much sometimes. Intentionally showing love means going out of our way for the good of someone else. It means doing something for someone or being there for someone even if the kids are screaming and you just want to take them home and have naps. It means being generous even when you can barely pay the bills. It means reserving precious time that could be spent doing something “productive” to just sit and listen with someone who needs to talk. Love is something that has to be learned. One of my favorite new bands is Colony House. A couple years ago I got one of their first ep’s. On it (and on their new album “When I was younger”) is a song called “Learning how to love.” I resonated so much with it because it talks about how unnatural love is. We spend the majority of our childhood learning. We are forced to learn reading, writing, math, science, history, and geography. But how many of us are taught how to love. Some of us have never even seen real love acted out. We expect people to love us when we don’t fully understand how to love them. The best way to learn something is to practice. Normally no one is good at something immediately. Practicing love habitually is the best way to become loving. If you do something enough it can become second nature. Love is no exception. We also have to realize that in our own power loving someone like Christ loved us is impossible. We will never be able to do it on our own. We need Him, because He is love.